We got the bug to build again in early 2016. 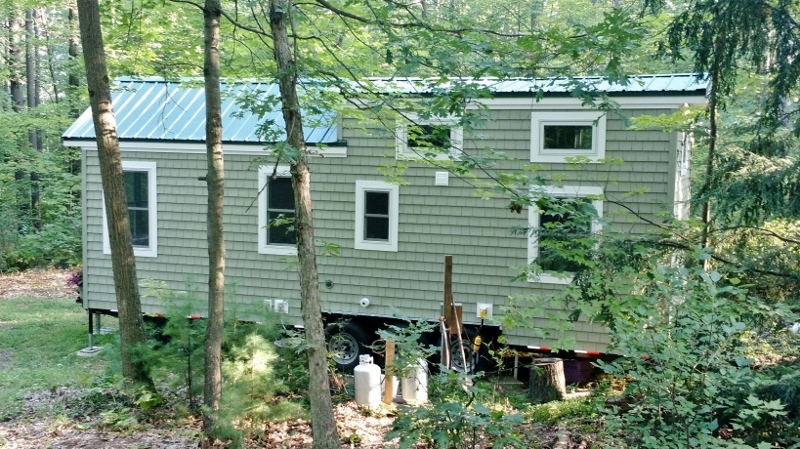 After some research and watching some shows on them, we decided a Tiny House on Wheels seemed like a reasonably sized project. I was also considering what the appropriate timing would be to retire. That would give us the time to embark on this adventure. 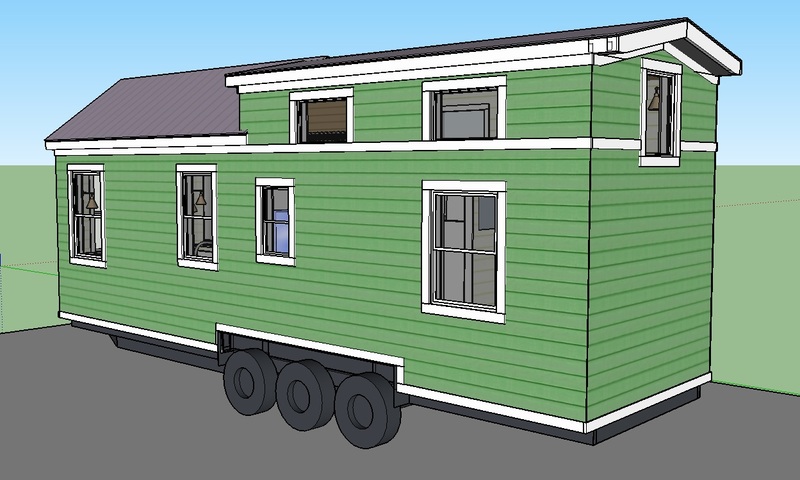 Things lined up and we started to design a Tiny House about the time I decided to retire in early summer. 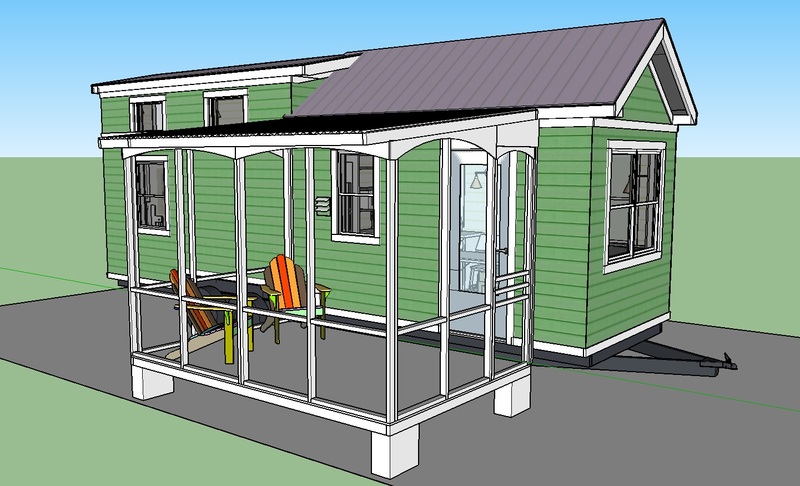 Once I did retire In October 2016, we started to design in earnest with the SketchUp 3D CAD tool. The results are included below, and in the Interior views. January 2017 - Now that the design is reasonably solid, we have begun building some of the interior items as we await warmer weather. 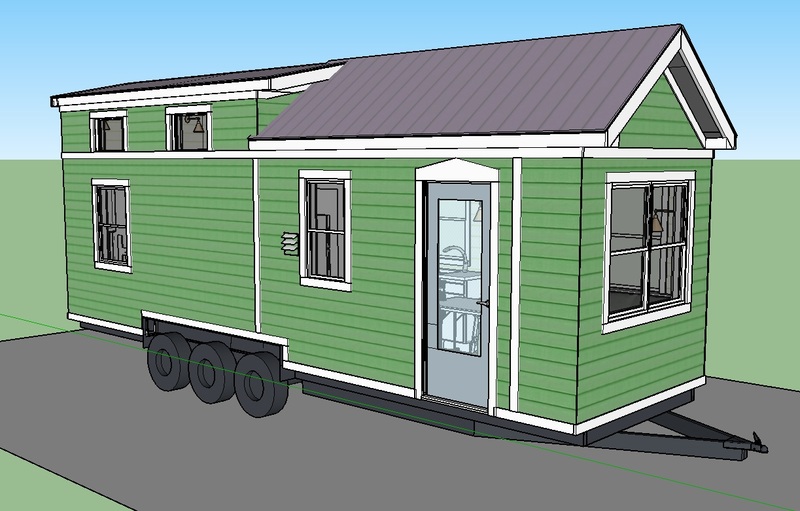 We plan to order the trailer to build the house on in late February, with an expected early April delivery. Check the Diary page for our progress. April 2017 - The trailer arrived April 4 and we started right away framing. We were weather tight with door, windows, roof paper and insulation by the end of May. July 2017 - The house is nearing completion. 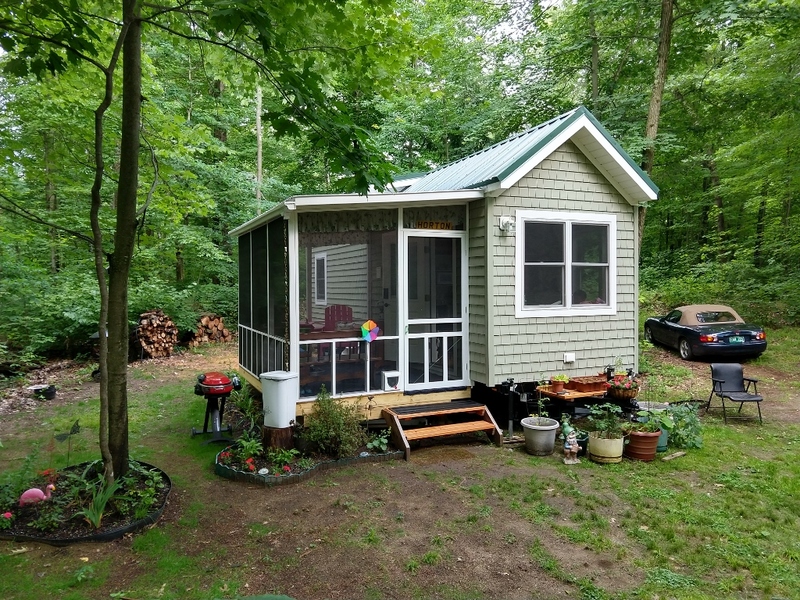 The siding and roof are on and interior wall finish (tongue and groove pine) and window trim are all installed. The bathroom fixtures are in. We are working on the interior cabinets and furnishings. August 10, 2017 - Move day. Interior is finished. 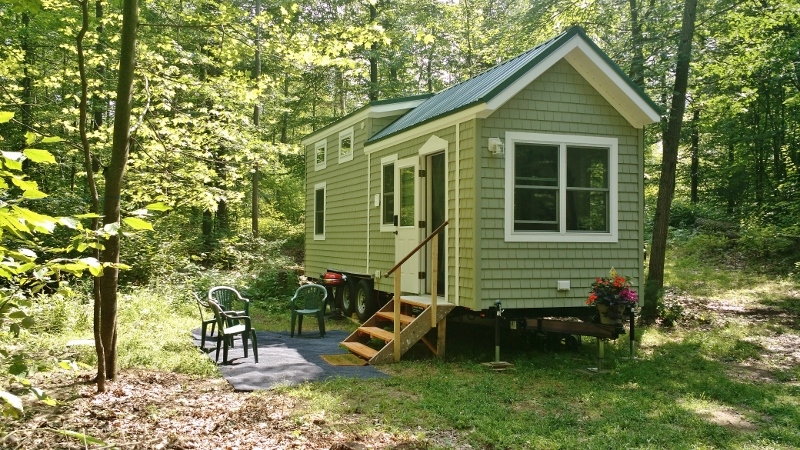 We packed it up and moved it to our site at the lake. All went well. August 27, 21017 - After a couple days of setup and provisioning, we moved in and have now spent 2 weeks living in Evergreen. Very comfortable.